In this book renowned philosopher Merold Westphal unpacks the writings of nineteenth-century thinker Søren Kierkegaard on biblical, Christian faith and its relation to reason. Across five books — Fear and Trembling, Philosophical Fragments, Concluding Unscientific Postscript, Sickness Unto Death, and Practice in Christianity — and three pseudonyms, Kierkegaard sought to articulate a biblical concept of faith by approaching it from a variety of perspectives in relation to one another. Westphal offers a careful textual reading of these major discussions to present an overarching analysis of Kierkegaard’s conception of the true meaning of biblical faith. 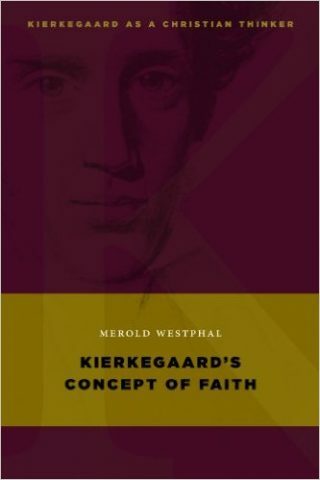 Though Kierkegaard presents a complex picture of faith through his pseudonyms, Westphal argues that his perspective is a faithful and illuminating one, making claims that are important for philosophy of religion, for theology, and most of all for Christian life as it might be lived by faithful people.